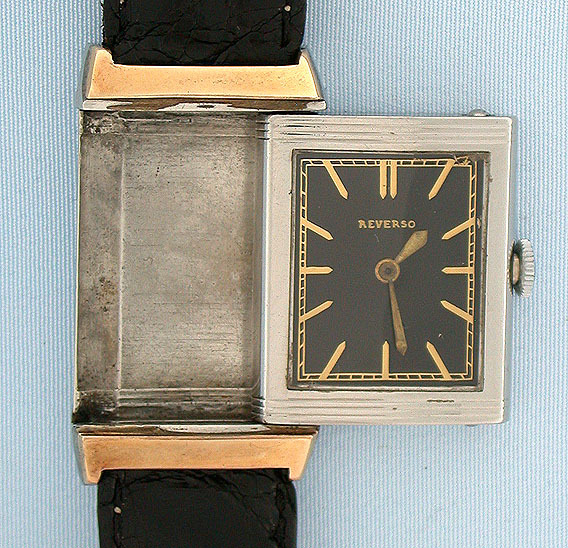 Swiss stainless and gold Lisica reverso vintage wrist watch circa 1930. 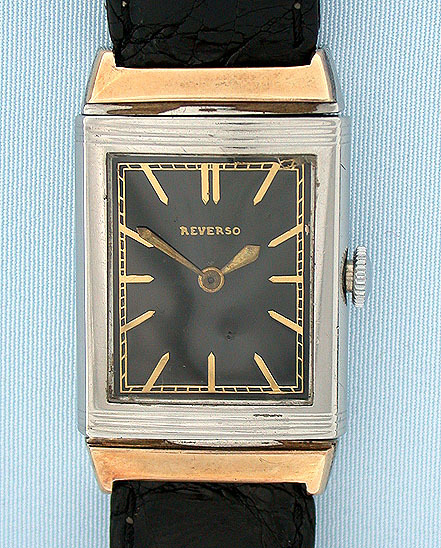 Refinished black dial with gold markings and gold hands. 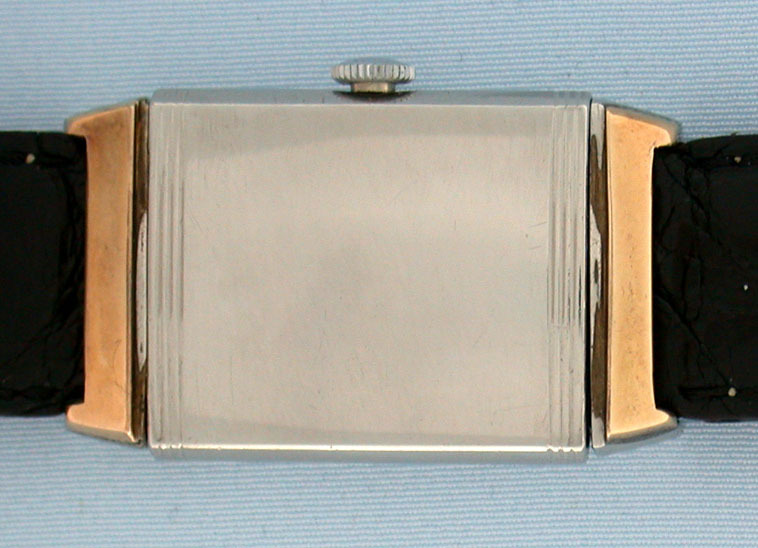 Nickel 17 jewel movement signed Lisica.